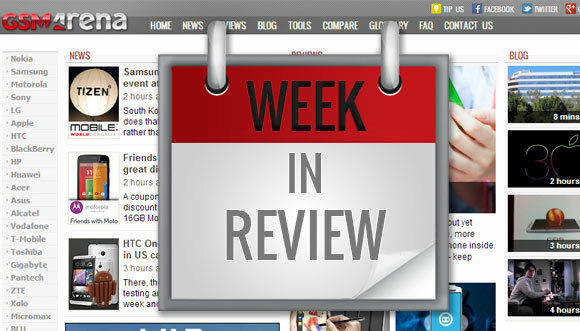 Another week passed and it's time to sum-up the most important stories of the past few days. Xiaomi has had its share of the spotlight, most notably with the 64GB Mi 4 going on sale in India. Another ultra-budget device - the Xiaomi Redmi 2A also made an appearance with a more-than-impressive price tag of $97. Other than that, the mobile world naturally has its sights set on various rumored and upcoming device. HTC announced the One M8s - a watered-down version of the previous flagship. And the rumor mill has been overflowing with specs and images of a couple of new, bigger devices - the One E9 Plus and One M9 Plus. The long-overdue Sony Xperia Z4 is still on everybody's minds. The eagerly-awaited flagship has already made an appearance in benchmark results, as well as the FCC. The LG G4 is in pretty much the same boat, only it has an official launch date set for April 28. In other news, the news Samsung Galaxy S6 has been enduring some serious torture tests, while Apple is said to use force touch in the iPhone 6s Plus. No registration is required to purchase the 64GB variant of Mi 4 from Flipkart. Despite getting slammed three times on the floor, the Galaxy S6 edge continued to function normally. The high-end smartphone is going to make its official debut next month, on April 8 in Beijing. The next flagship offering from the Japanese smartphone maker is already in testing, it seems. The company has officially announced the smartphone for the European market at an event today. Protective covers for the yet to be revealed smartphone are already listed on Amazon. The company promised to release the CyanogenMod 12S update based on Android 5.0 Lollipop after fixing the bugs. The announcement was made by Windows Insider manager Gabriel Aul in a blog post. The filing reveals that Sony Xperia Z4 has similar physical measures as its predecessor, the Xperia Z3. A couple of leaked images are doing the rounds claiming to show the back of the next cheap iPhone. The feature might even make it to a Zenfone 2 refresh that is coming in the second half of this year. Two weeks after commencing on March 16, the update is now set on to be made available globally. A hexa-core processor (2x A57 + 4x A53) and Adreno 418 place it below the LG G Flex2. Official Samsung websites are confirming that updates for these two smartphones are in the works. The successor of LG G3 will debut in New York, London, Paris, Seoul, Singapore, and Istanbul. HTC refreshed its acclaimed phone, but now it's in competition with the new top dog and at a lower price. The user-submitted statistics roundup puts the Samsung Galaxy S6 miles ahead of the competition. It offers the same features as the existing Redmi 2 but comes with a Leadcore chipset. Even though it lacks waterproofing the phone kept going for quite a while after getting dunked. The MX Supreme is said to be designed by Nokia but made by Meizu due to the Microsoft deal. Packs 5.5-inch Quad HD display, octa-core MediaTek CPU, 2,800 mAh battery and Sense-d Android Lollipop. The smaller iPhone 6s may not get the feature that's already on the Watch and MacBook 12". New alleged promotional materials show the One M9 Plus with a home button. Currently, MediaTek is known for producing mostly chipsets for mid-range and low-end devices.